A project founded by Laura of Finding Home. 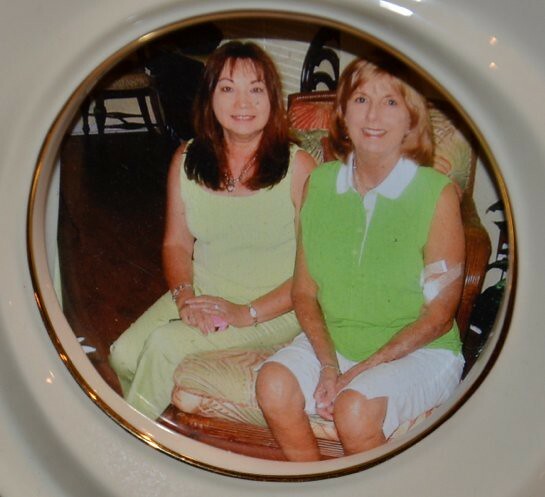 Yesterday, I lost “my inspiration”…She lost her battle of 30 years on dialysis. Ruth was one of my closest and dearest friends…we have known each other since Jr. High School. When life gets hectic…when I think that things do not go as perfectly as planned…those bumps in the road, I turn to my “Ruthie Perspective Box”…I reach into it and get my inspiration, of how life is so delicate… that we should live in the moment, to have undenying faith that life is good. You struggle with an illness that took away your mother, and then your sister…An illness that was dealt to you genetically and causes you to rely on a dialysis machine to survive…Your doctors call you a miracle…as they do not know of anyone who has survived this long on dialysis…but you tell them that it is your FAITH that gets you through. You have struggled with many hospitalizations and complications…the last one actually brought you to the state of death…it was then when you had that heavenly experience….the one that many people tell about when they actually meet death and come back….like you did.. I remember when I was finally able to talk to you after you being unconscious for several days…you spoke of your experience in seeing The Heavenly Father…..you said it was truly Him…You told us of the indescribable feeling of warmth and love..you wanted to stay…He said that he was sending you back…that your work on earth was not complete…and He is right…because you put perspective in our lives and joy to your family…your grandchildren. I know that many of your days are difficult…with low energy and all the trials and tribulations relating to your illness…but YOU NEVER, NEVER COMPLAIN….you are always HAPPY…happy to be alive. You called me tonight…it was like an angel tapping you on the shoulder and telling you to call me….I was overwhelmed with life’s hectic “stuff”…..You wanted me to know how much better you were feeling after your surgery…the emergency surgery you had the day after our visit..You almost bled to death in HomeGoods..going for that tablecloth we both admired…you laugh…you take it all in stride…Never, ever a pity party for you!!.. I am truly blessed with so many people in my life who are an inspiration to me…like my wonderful husband and many friends and family…but Ruth you are truly my angel, a lifelong friend…..you show me how to enjoy life and all that is good…and to take time to smell the roses! You know how much we love you!! 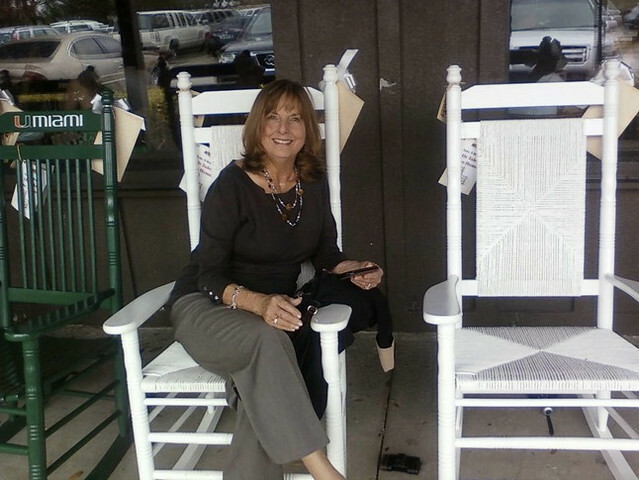 Sweet Ruthie, I shall miss you every day of my life….Rest in peace my dear, dear friend. What a very special tribute to your dear friend. I will hold you close in my heart and prayers. You are both so blessed to have been friends! God is so good and faithful, placing beautiful people in our paths for encouragement and inspiration. Thank you for sharing this beautiful testimonial. What a beautiful lady! Shirley I’m so sorry for your loss,I know how close you two were. Now she will never have to go thru another dialysis again,she is truly WHOLE. I am so sorry for your loss, Shirley. What an amazing friend. How sweet, I bet she is dancing in heaven after reading that. I am so sorry for your loss. Few of us take the opportunity to tell those we love how much they mean to us. It is obvious that you and your dear Ruth did. What a wonderful gift you gave to her in this Letter to Ruth. Thank you for sharing with us again. I have no doubt that Ruth will continue to inspire you through all the days of your life and through you, she will continue to inspire others. Oh, Shirley, this is a wonderful tribute to a lovely lady and friend! I’m so sorry for the loss of your amazing friend, Ruth! Thank you for sharing her with us too. You’re right, she is your angel in Heaven now! May God keep you and Ruth’s family in His precious arms during this difficult time. How fortunate you are to have known such an amazing friend. What a special connection you two had. I am sorry for your loss. I hope you find much comfort in the memories of your friends great spirit and your loving bond. My heartfelt condolences. Angela’s recent post…Giant Jenga Game! Shirley, I have noo words to ease your grief but your letter was right from your heart and I too believe you and Ruth will always be connected in this life and the next. She’ll be there one day with her beautiful smile to welcome you and guide you along on the next plane of existance.. the love you two shared lives on . Shirley, there are simply no words. That is a beautiful tribute to your dear friend. My prayers and thoughts are with you. Oh, my dear friend, what a beautiful tribute to your cherished friend. You have filled my eyes with tears. I hope the pain lessens each day and that your broken heart heals. Becca’s recent post…Our Kitchen Tour and TWO Giveaways! Shirley so very sorry for your loss! What a wonderful wonderful post in her honor. Hugs! There are no words. You two were blessed to have been friends for so many years. She was an amazing person and an inspiration to many. How special that you wrote this tribute to her and she was able to read your thoughts and that you shared it with so many. Thinking of you and hoping that you find comfort in the memories you shared with Ruth and the generous friend you always were to her for so many years. You are in my thoughts. I am so sorry that Ruthie is gone . . . I know how much she means to you, and how very much you will miss her. Don’t think it ‘selfish’ to mourn . . . it is a great loss for those here on earth who loved her. Take comfort knowing that she is free of her long and courageous battle. And – if what she believed SO fiercely, is TRUE . . . she has the desire of her heart at last! I, for one, believe you shall see your precious friend again some day. Until then . . . we all have our own paths to travel. Let’s do our best to walk our individual trails with Ruthie’s shining example of perseverance and good humor. So sorry for your loss. This was a wonderful tribute to your friend. You are in my thoughts. Shirley as I mentioned on FB I am truly sorry for your loss and will say a prayer for you. This is such a beautiful and touching tribute to such a dear friend. I am sure you will miss her dearly. Hang in there and mourn your dear friend. It is ok, you need to go through the process too heal such a sad moment in your life. I’m truly sorry for your loss your letter to Ruth is a beautiful gesture of your friendship and tribute to your lifelong friend. Oh Shirley! What a wonderful letter to your friend. I am SO sorry for your loss! Think of the joy you will have when you see her again and let that sustain you!! God heals the broken hearted…..Blessings to you! Thanks for sharing this lovely letter and your dear friend! I have a friend who is in the last week of a swift and horrible battle with breast cancer…Your letter helped me to look past my saddness and rejoice in our friendship, the knowledge of our shared FAITH and the assurance that I’ll see her on the other side. My sympathies and prayers for peace and comfort on your loss. Starting off the morning with tears… this is so sweet. I’m so sorry for your loss. Thank you for sharing with us. I hope your good memories of your dear friend are a comfort to you. Oh Shirley, I am so, so sorry for this incredible loss of your precious friend! Praying for you as you mourn that you will find comfort and peace in knowing that she is with her Heavenly Father. Blessings to you! Vanessa’s recent post…Etched Glass Snowflake Lamp! Let it Snow! Dear Shirley I am so, so sorry for your loss. A true dear friend is a rare thing. One whose spirit stays alive through a long illness is an angel.I will be praying for her family and yours. I’m so sorry for your loss. Such a precious letter. Praying for your aching heart. So sorry for the loss of your dear friend. Your letter is such a beautiful testament to her. (((((Shirley))))) I am so very sorry for your loss! I know it’s different than what I’m experiencing but a life long friend is such a precious jewel. I am grateful that you have had each other for such a long time…such beautiful memories you have to cherish. This is such a beautiful tribute to Ruth and she looks stunning in the pictures. I know your heart is hurting right now so I send you huge hugs, a cup of tea, a soft quilt to wrap yourself in, soothing music and a candle’s glow. Be gentle with yourself my friend! She is now healthy and watching over you…as she will until you meet again. If there’s anything at all I can do for you, please feel free to let me know! Shirly, I’m so sorry to hear of your loss. Your friend Ruth sounds like a wonderful, amazing person, and you gave her a sweet loving tribute. You were both blessed with friendship that will never end- someday, you will pick right back up where you left off. I have tears in my eyes as I read this…what a sweet tribute to a very special lady and friend. Thanks for sharing her with us – I feel uplifted by her courage and faith! Shirley, what a beautiful tribute to your sweet friend. I am so sorry for your loss. Just remember her sweet, smiling face and take comfort in knowing that she is resting and peaceful, with our Heavenly Father. Love you! I am SO sorry for you loss! Ruth sounded like an amazing friend. She certainly inspired me just by reading your letter to her and how she viewed life. You two obviously had a special friendship and I know you must be so sad today. I wish I had special words that would help you feel better. Please know that I’m thinking of you today and really loved the tribute you wrote about Ruth. Oh, Shirley, what a dear friend Ruthie is to you. You will always have wonderful memories of her. Such a sweet letter you have written to her. Thank you for sharing it. Sorry, it is Ruth not Ruthie. What a blessing to have a dear friend like Ruth. Friendships like these are more valuable than gold. I feel your pain and ask God to help you during this difficult time. HOw touching Shirley! Ruth knows exactly how you feel! I’m praying for you and your family! I’m so sorry, Shirley. How fortunate you both are to have had such a wonderful friendship that spanned so many years. Your letter is a beautiful tribute to her, and I can’t imagine how much you’ll miss her. Sending love and prayers to you sweet, friend! I received this letter from Ruthie’s mother-in-law Thelma Mock. She is a dear friend of mine. I worked with Thelma for years while in Miami. I live in Kentucky now. I knew Ruthie and Randy while in Florida. Their boys were born and grew up while I was there. I have been to Ruthie home many times. She was a wonderful christian lady and loved her family. Just wanted you to know I haven’t seen her for years but Thelma has keep me informed about her. I know you will miss her very much. God Bless You. Oh Shirley, I’m so sorry for your loss. What a beautiful friendship you shared! It’s wonderful that you were able to write that beautiful letter to her while she was still living. I’ll bet it meant more to her than gold. Now you really do have an angle watching over you! Peace to you, Shirley. A truly touching tribute, Shirley. She was lucky to have you as a friend, too. Shirley, this is the sweetest letter, and it made me cry. I’m SO sorry to hear that you’ve lost your best friend. It sounds like many, many people will miss your dear, sweet Ruth. I believe she is now in the most wonderful place where she will never know pain, discomfort, or sorrow again. I’m sure those of you who love her know this, but you will still miss her sweet presence here on earth. I have read some of your posts about Ruth in the past, and it sounds like you have been a good and loyal friend all these years. I’m glad you were both blessed to have each other and I pray you will find comfort in that knowledge. My dear Shirley, I am so saddened to hear about your Ruthie! I remember you writing about her several times over the past few years. You were both blessed to have the friendship of each other, and I’m praying for peace and comfort for you. A great big hug and squeeze from me to you! Shirley – I am so sorry for your loss – I can’t even imagine how hard it must be. She was a beautiful person and soul and an inspiration to all of us. So sorry for being so delayed on seeing this – we have been dealing with a loss and illness as well. Sometimes it really is hard to keep it from getting us down, sometimes it is really hard to see the bright side, sometimes it is just overwhelming. But it is support like we find here in the blogging community that help us through these days. You and Ruth’s family are in my prayers. Blessings to you sweet lady. Thank you so much for sending me this link, I hadn’t seen it. She sounds like a WONDERFUL person who touched MANY lives. Your letter is beautiful, Shirley. I am sure she is smiling down from Heaven on you. Shirley I am truly saddened to see your friend Ruth passed. What a beautiful friend you were so blessed to have im each other’s life. Memories can never be taken away a and I am sure you can write a book on them. Thoughts and prayers to all. What a beautiful post & moreover friendship. Thank you fro sharing your Ruth with us. I hope she and my Romney have met in heaven. Not hope, I am certain they have as we have on earth.